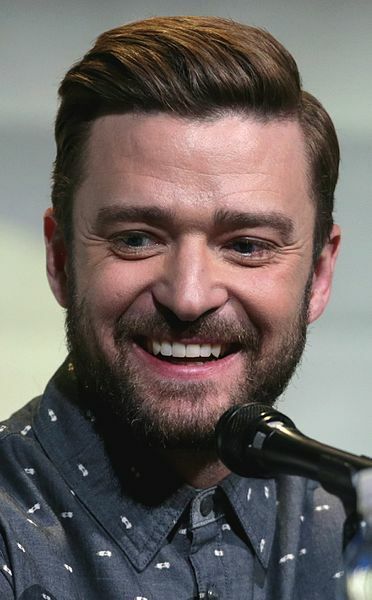 Justin Timberlake was born in Memphis, Tennessee, U.S. on January 31, 1981, is an American actor and singer. Young Justin Timberlake began his career as a child on the television shows Star Search (1983) at the age of eleven. Justin's breakthrough performance came in Disney Channel television series The All-New Mickey Mouse Club. He made his film debut in Disney TV movie Model Behavior (2000) in role as Jason Sharpe. Justin became a member of the boy band NSYNC, at age of fourteen, one of the best selling boy bands of all time. He won ten Grammy Awards, four Emmy Awards and nine Billboard Music Awards. His hobbies are skiing and snowboarding. Fan of Björk and Kylie Minogue. He voiced Arthur "Artie" Pendragon in Shrek the Third (2007), Boo-Boo Bear in Yogi Bear (2010) and Branch in Trolls (2016). He dated Britney Spears (1999-2002) and Cameron Diaz (2003-2006). He married actress Jessica Biel in Italy on October 19, 2012, they have one son. I feel like a rookie in the movie business, that's for sure. Maybe a little bit of an outsider, too, since I came to it from music.